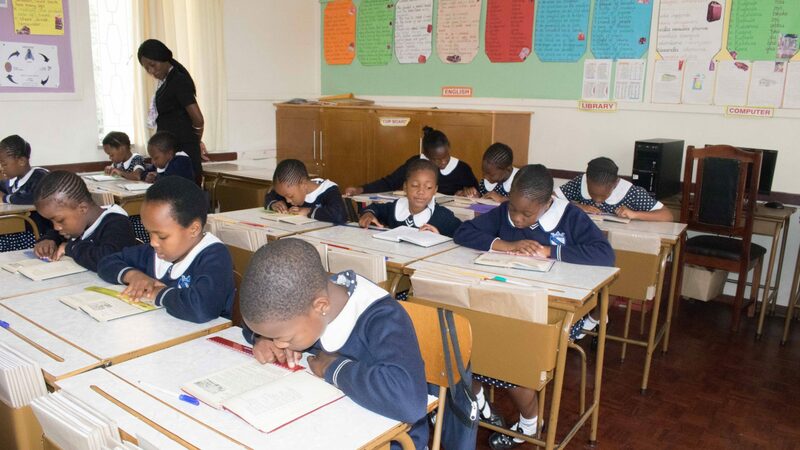 To be the leading multi-cultural Catholic Girls’ Primary School in the Region that offers a sound holistic education and a first-rate operational climate for pupils, staff and parents in an Environmentally-friendly atmosphere. To provide the girl child with a reasonably priced, globally competitive holistic education package that is premised on the teaching of the Catholic faith and its traditions ultimately leading to the development of a wholesome and responsible relationship with the self, God, neighbour, society and the totality of creation, thereby facilitating the pursuit of the truth in all discipline. Respect for each person and respect for life. The development of a positive relationship to self, God and neighbour, as well as to society and the environment. The proclamation of truth in all disciplines, the formation of conscience, and the acquisition of self-discipline for the sake of personal growth and good community relationships. Preparation for life in all its dimensions, its profoundest meaning and transformation beyond death to eternal life.